Controlled lighting allows you to create the perfect setting in your home and office. An integrated system, along with motorized shades and draperies, enables you to adjust your environment to your liking. 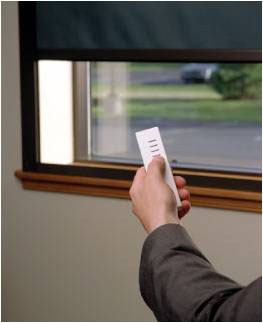 With the touch of a single button, you can select scenes for different scenarios, such as "reading," "cocktail party," �board meeting�, or "movie viewing." Your control panel will enable you to manage the lights and shades throughout the entire house or office from any one location. Integrated lighting solutions increase your home and office efficiency by reducing expenses. Preset timers can conserve power and save you money.